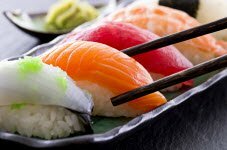 Sushi for Beginners|Want to Learn all you need to know about Sushi in one place? Learn Everything you ever wanted to know about Sushi in one place in Simple, Straightforward Language --- without all of the "Sniffy" Fancy Sushi Talk! Sushi for beginners shouldn't have to be difficult to understand. Because, quite frankly, Sushi AIN'T Wine. But...you couldn't tell that from some of the sushi information that I've had the displeasure of trying to decipher lately. What I saw was a focus on all of the stiff "RULES and REGULATIONS" that you have to follow to order it and consume it and I thought, "Gee whiz, if anybody ever reads this they'll be shaking like a leaf if they ever decide to try sushi in a public place". And I decided then and there that this just ain't right. Somebody needed to spread the truth. So here I am. And here we are. 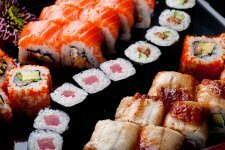 Know that, yes, there are "preferred guidelines" when it comes to sushi in general and the rules surrounding it's consumption in traditional Japanese public eating establishments but there is more to it than that. 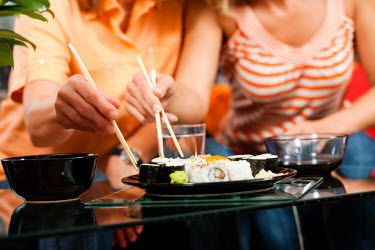 The rules that you would follow in a first class sushi bar would not necessarily need to be applied in your own home. And the rules that you would follow in Japan would not necessarily also have to be followed here in the U.S. But nobody mentions any of this differentiation. There are rules, yes. But the application of them doesn't always apply in every situation. And some are sometimes bent. Some are always bent. If you are new to sushi, and I am assuming that you probably are since you are on this page, I just wanted to catch you before "the experts" (and I use that term loosely) scared you off with all of their sniffy and stuck up rules and regulations. You see, my mother is Japanese. I was raised in a Japanese home. 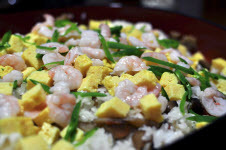 I grew up eating real homemade Japanese food everyday. So, as a disclaimer, I'm letting you know that, YES, when it comes to "proper" sushi etiquette and what you "should do" when you are in a sushi bar, etc., etc., yes, yes...those are covered by the two previous links. If you want to know specifically about proper technique or manners when eating sushi in a sushi bar, then go here or for a cliff notes version here. With that, Let's start talking about sushi for beginners! This is probably the number #1 most frequently asked question. And a good question if you have never eaten it or if you maybe just been wondering about what it actually is. 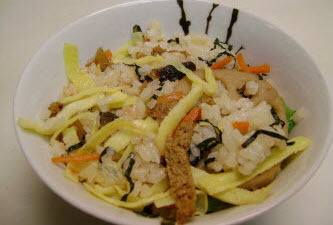 A good, quick answer is "Anything that is served with Sushi Rice". Which would automatically exclude Sashimi (basically, just the slice of meat) because sashimi is not served with Sushi rice. And that actually is a major point of confusion for some. Even those who eat sushi all of the time. If you are really interested in finding out more, visit our What is Sushi? page. It's enough info that it deserves to have its own separate page. You can also visit our Types of Sushi page for detailed discussions on all of the different types of sushi. What is the Best Sushi for Beginners? Another question that many people ask that are new to sushi is "What is the Best Sushi for Beginners?". A lot will depend on what you like or dislike as far as seafood goes, or if you have any allergies to shellfish, etc., common sense stuff there really. Beyond that, if you want to just get some ideas about what might be best for you to try so you can give Sushi a fair shot, visit our Best Sushi for Beginners page. What are the Best Sushi Recipes for Beginners? Those with the culinary touch or some that just want to try their hand at making some of the sushi that they have been eating out often ask this question. 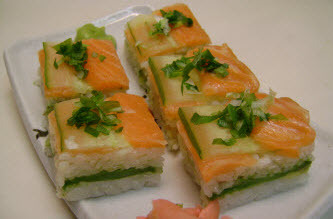 Take a look at what I think are some of the Best Sushi Recipes for Beginners to start out on. I bought and have read this book. 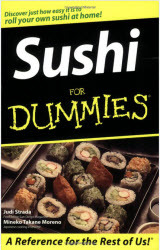 If you want to know what I found, visit our Sushi for Dummies page for a Review! And there you have it. Sushi for Beginners 101. I hope that it helps you get a good firm start in whatever direction you were interested in learning about in this amazing area of sushi.